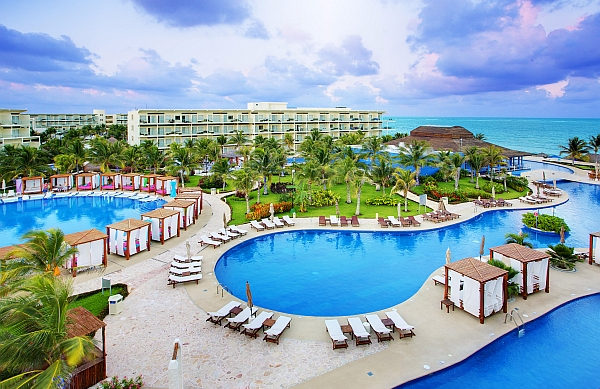 Azul Beach Resort Sensatori Mexico is located in Puerto Morelos, México, right on the shores of the Caribbean Sea and just 20 minutes from Cancún. The resort offers spacious luxury accommodations tastefully decorated in contemporary Caribbean style, with dark wood accents and canopy beds. All suites come with views of either the crystal-clear swimming pool, the lush gardens or the sea. Each has air conditioning, a 32" plasma television, DVD players, iPod docking station, an in-suite hydro-jet whirlpool tub, plus amenity kits; minibars; coffeemakers; and oversized balconies or terraces. Your minibar will be refilled daily with water, soft drinks and beer. Azul Beach Resort Sensatori Mexico is a "gourmet inclusive" resort with delicious meals, drinks and room service included. 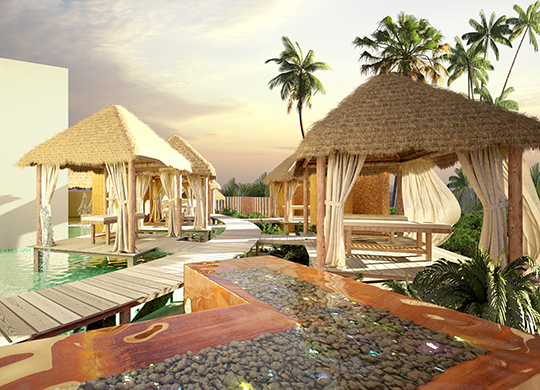 The resort features six gourmet restaurants onsite, with worldwide cuisines served Ã¡ la carte. Eat, drink, relax and enjoy royal pampering! You'll also find seven bars and lounges, children's and teens' clubs, a spa and fitness center, an activities program, non-motorized water sports, two tennis courts, sports courts, four swimming pools, and direct beach access. For shopping and sightseeing, Cancun is just a few minutes' drive from the resort. Experience a world-class luxury resort on the pure white sands of BahÃ­a Petempich, full of pampering service and unmatched experiences. 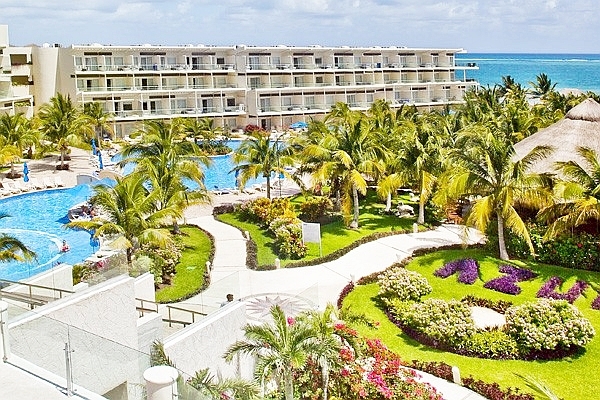 A warm welcome awaits you at Azul Beach Resort Sensatori Mexico. The experience at Azul Beach Resort Riviera Maya begins the moment you arrive, with a champagne toast check in for adults, a signature aromatherapy and pillow menu to choose from, and Nickelodeon smoothies for kids. With only 148 deluxe rooms and suites, this beachfront oasis caters to families and couples who desire a refined, yet more intimate experience. Resort accommodations are memorable, too. Every room features air conditioning, king- or queen-sized beds, satellite TV, rainfall showers, hair dryer, safe deposit box, coffee maker, iPod docking station, DVD player, direct dial telephone, Wi-Fi and a balcony or veranda offering spectacular views of beautiful gardens or the Caribbean Sea. Everything is just a short stroll or stroller ride away, from the half-mile white-sand beach to the six restaurants, swim-up bars, Azulitos by Nickelodeon Kids Club and Vassa Spa. The Gourmet Inclusive® restaurants and bars at Azul Beach combine an extraordinary selection of mouthwatering Ã la carte menus and exotic drinks in a variety of settings. There are also Nickelodeon dining experiences, 24-hour room service and over 30 tequilas in the tequila lounge. Savor amazing personalized service, stylish guestrooms, outstanding a la carte gourmet dining options, beach butlers, beach cabanas and four-poster beach beds, plus water sports, daily and nightly activities, and full-service concierge. This is Azul Beach Resort Riviera Maya! 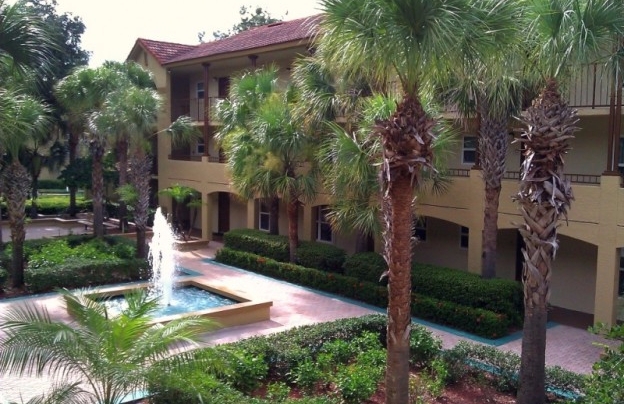 Located on 16 beautifully landscaped, tropical acres in Orlando, Florida, Blue Tree Resort is just minutes from major area attractions, including Walt Disney World, Universal Studios, SeaWorld and the Kennedy Space Center. All suites at Blue Tree have separate living and dining areas, full kitchens, cable television and DVD players. Resort amenities include a spa, four swimming pools, daily scheduled activities, tennis and volleyball courts, and a miniature golf course. There's also a game room and a playground for the kids, as well as a fitness center and two whirlpools for the adults. Ideal for families or groups of up to six people, the two-bedroom suites offer the perfect amount of space to enjoy a comfortable stay without compromising quality. One-bedroom suites are also available. Along with theme parks and other attractions, Blue Tree Resort is close to championship golf courses, world-class outlet shopping, and exciting adventures like zip-lining and skydiving. Gatorland, museums and parks, dining from fast and inexpensive to gourmet, and so much more is at your doorstep. Orlando is known by many as the world's best vacation destination. Your family might agree! Come stay at Blue Tree Resort during your next Orlando vacation, and you may just discover your new "home away from home!" 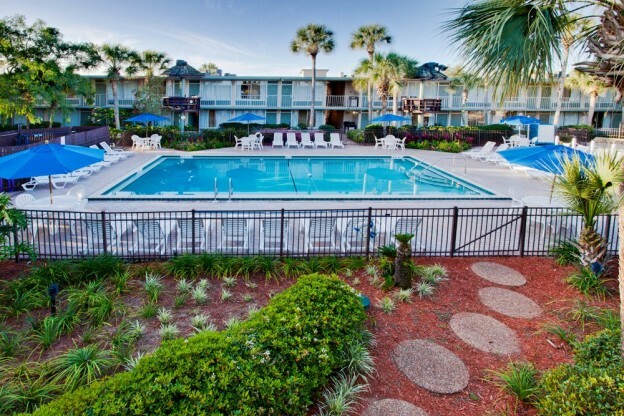 Magic Tree Resort is located in Kissimmee, Florida and makes a great vacation getaway. Magic Tree Resort offers one- and two-bedroom suites. A one-bedroom suite provides comfortable accommodation for up to four people and includes one bathroom, one king-size bed, a queen sofa sleeper, full kitchen and living area. The two-bedroom suite is ideal for up to six and has two bathrooms, one king-size bed, two double beds, a queen sofa sleeper, full kitchen and living area. All suites have satellite television, direct dial telephone(s), a VCR or DVD player, coffee makers, air conditioning, radios, and hair dryer(s). Magic Tree Resort offers a swimming pool, tennis, a game room and is near many restaurants and shops in the Kissimmee and Orlando areas for your entertainment. Magic Tree is located less than two miles from Disney World and a short drive from Epcot Center, Sea World, LegoLand, Kennedy Space Center and Gatorland. There are golf courses in the area, and unlimited restaurants and shopping opportunities, including two outlet malls with famous international brands. Both adult and children's pools are available onsite, as well as picnic areas, tennis court, playground and much more, so you can plan a day or two to just relax and enjoy Central Florida's incredible weather. Magic Tree is the ideal location for fun and entertainment when Orlando and Disneyworld call. Make Magic Tree Resort your Orlando vacation getaway!